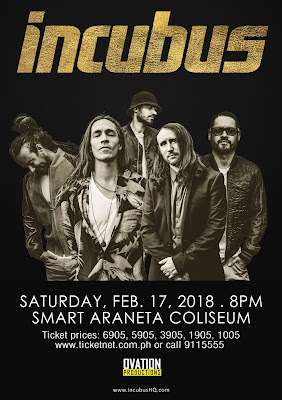 The much loved American rock band Incubus, whose return engagement to Manila has been eagerly awaited is performing February 17, 2018, Saturday, at the Smart Araneta Coliseum. The band is known for its rock anthems Wish You Were Here, Megalomaniac, Anna Molly, Drive, Pardon Me, Are You In?, Nice To Know You, among others. The concert is produced by Ovation Productions, the group that also did Incubus’ previous concerts in Manila; the last was in 2015. Since their formation in 1991, iconic multi-platinum Los Angeles rock band Incubus have consciously and continually shifted their perspective with each subsequent album, preserving the spirit that initially drove them and simultaneously challenging themselves as artists and human beings. Their eighth full-length, the aptly titled 8 [Island Records], proudly upholds that tradition for the quintet—Brandon Boyd [vocals], Mike Einziger [guitar, piano, backing vocals], José Pasillas II [drums], Chris Kilmore [turntables, keyboards], and Ben Kenney [bass]. In the fall of 2016, the five musicians regrouped to flesh out ideas, recording at Jim Henson Studios and at Einziger’s personal studio. 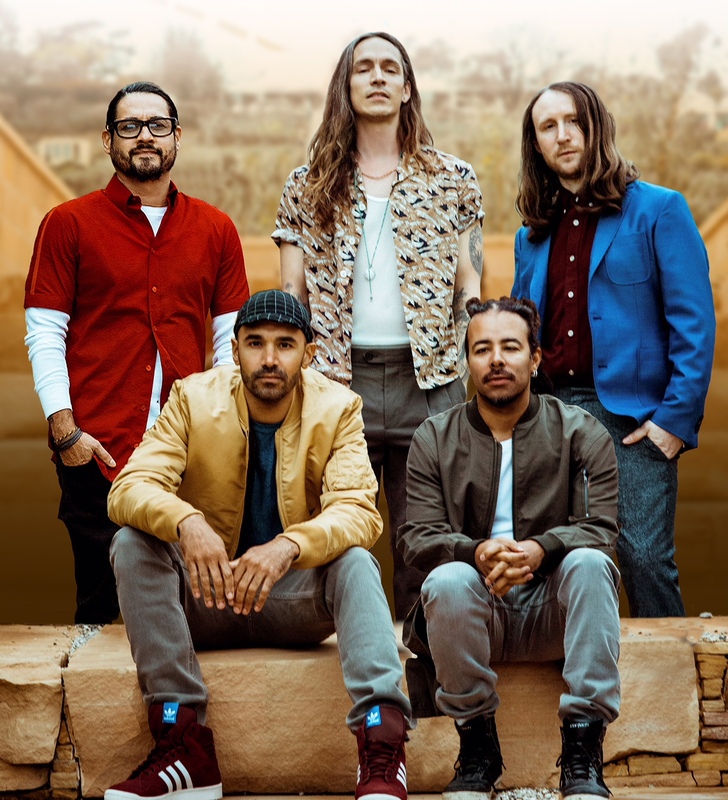 As the vision came into focus during early 2017, Incubus added another level by enlisting the perspective of longtime friend Skrillex [Justin Bieber, A$AP Rocky, Lady Gaga] for co-production and mixing. Einziger had spent the past few years, exponentially expanding his personal musical palette. Not only did he oversee production for The Internet’s Feel Good and produce three songs for Tyler, The Creator’s chart-topping “Cherry Bomb,” but he also co-wrote Avicii’s six-times platinum smash “Wake Me Up” and served as musical director and performer for a much talked-about 2016GRAMMY® Awards performance of “Where Are Ü Now” by Skrillex, Diplo, and Justin Bieber. After lunch one day, Einziger played Skrillex some mixes, and “a whole new world opened up” as the producer added his magic to 8.